I have to say Birthday Cards and Thank You Cards are probably among my most favorite kind of cards. You can never have too many of either and to tell the truth I keep running out of one or another all the time. 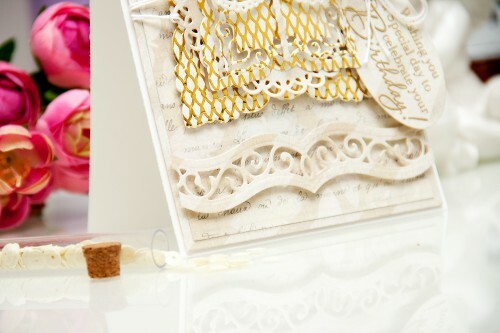 So I thought I’d share an elegant layered Birthday Card using a combination of my favorite supplies from Spellbinders, First Edition and Stampendous. I used quite a few dies from Spellbinders and layered one on top of the other to create lots and lots of dimension for this project. Here’s the list of dies I used. I’ve also included die # to make it easier for you to identify which die you need to use to cut a specific element out. I’ve had a few requests from my blog readers for those so I’m including them for this card. Spellbinders numbers their dies with number 1 always being the smallest die in the set. Please note, the Back to Basics Tags is a discontinued set, if you like it and if you see it somewhere online – be sure to grab it, once it’s gone is gone for good. I couldn’t resist using the A-2 Matting Basics A and B sets. There are perfect for creating those base panels for standard size cards. You can of course cut similar panels with the help of a paper trimmer, but its just not the same thing. 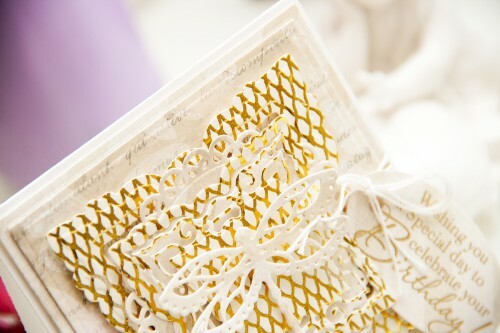 The die cut panels have a nice finished edge and just a bit of the embossing there. 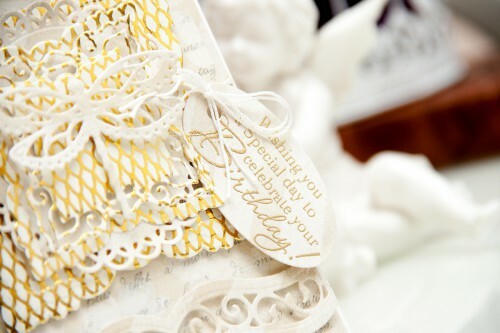 As for the sentiment I used a gorgeous Birthday Assortment Clear Stamp from Stampendous (discontinued). I really like their stamps, especially sentiments. They always have the perfect mix of fonts and sayings in their sets. 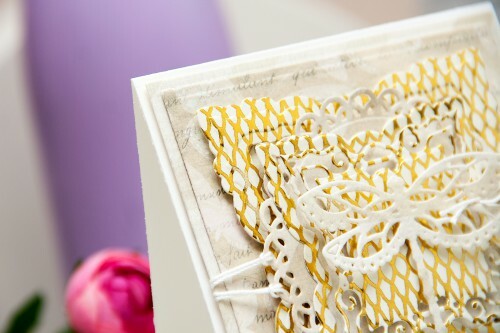 Patterned papers used for this card are from 12×12 Botanical Notes pad from First Edition. It’s a UK brand and is available mostly in England. I know some small retailers have it in the USA and I have seen some pads being sold on Amazon and Ebay.